It’s no surprise that digital marketing is constantly evolving and adapting to the trends that appeal to our target audiences. Through testing different approaches, marketers can get a sense of what works best for their demographics. Because there is often a lot of content created off the heals of these trends, it can be difficult to get the full scope of what actually works. Companies and organizations work every year to bring a bit more clarity to the field by diving deep and asking the bigger questions. In this post we’ll go over 10 reports you need to read before you start planning your marketing objectives for 2016. For the sixth consecutive year, Marketing Profs and Content Marketing Institute have teamed up to produce this report that dives into the effectiveness of content marketing; goals, metrics and priorities; strategy and organization; and more! 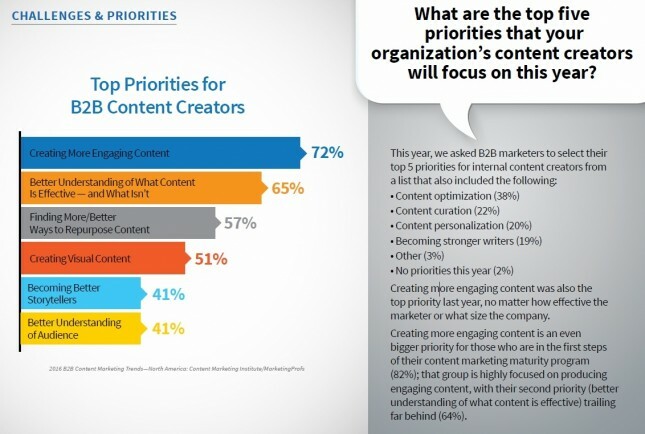 One key theme that emerges from this year’s B2B research is that although marketers know they should be doing content, only 30% of B2B marketers say their organizations are effective at content marketing – down 38% from last year. Make sure to read this report to get insight into what makes these marketers so successful and where others fall short. In comparing successes and shortcomings, marketers often lack access to industry data. This could hinder your business when you are measuring your KPIs. Sure, you may have had 50 new opportunities last month, but other companies within your industry could be averaging 150 new opportunities! This is why having benchmarks is so helpful. It can help you determine where you stand in your industry. This report from Hubspot gives you access to data from over 900 other marketers across all industries and shares insight on funnel benchmarks, cost per lead benchmarks, email open and clickthrough rates, and marketing investments by tactic. The process of quantifying your content marketing efforts can seem daunting. 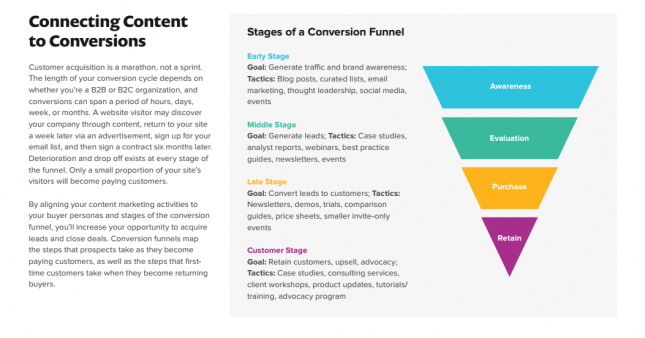 Even if you have a grasp on forecasting tools, measuring analytics and KPIs, you need a process and framework to support your content strategy to be able to measure your content program’s full return. This guide gives lends sample scenarios and stats so you can determine which KPIs will indicate growth for your business. In this second annual report, Salesforce surveyed over 5,000 marketers around the world to get a scope for top priorities across all digital channels. Emphasizing the most pressing business challenges, this report gives way to the importance of mobile and highlights that you should evangelize the customer journey into your organization. Are you using Pinterest, Instagram, or SlideShare? There are a number of social media channels that can connect you with your audience. 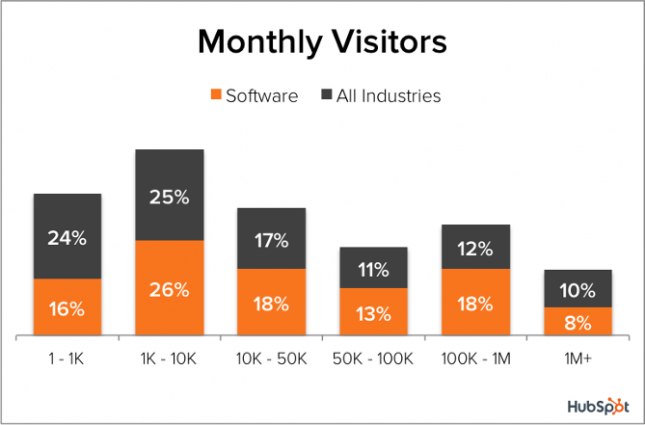 Similar to having insight into industry benchmarks, it’s important to get a sense of how others in your industry are using social and to what extent. 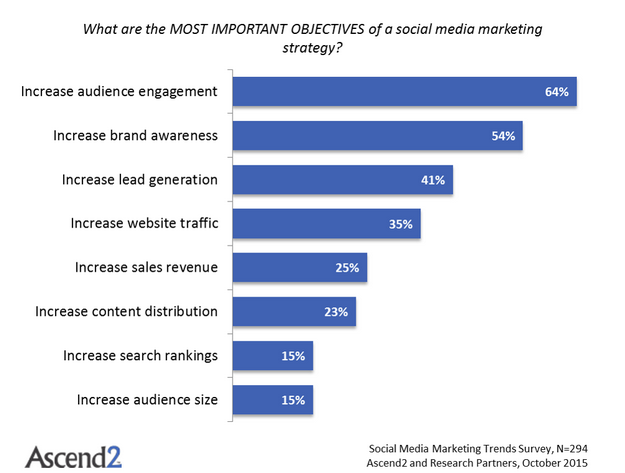 In this study Social Media Examiner surveyed over 3700 marketers to dive into the who, what, when, where, and why of social media marketing. Zooming in on the difference between B2B and B2C marketing, this report dives into how large business vary from smaller business in their social media activities as well as what social platforms marketers will focus on in the future. Social media marketing, when planned properly, can be very effective. Nevertheless, creating compelling content for social media marketing is also the most difficult to execute. 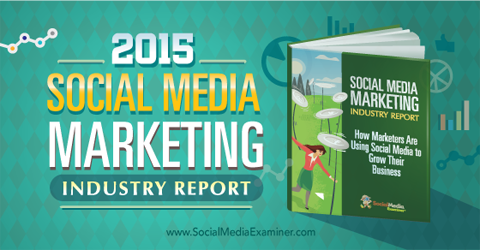 Similar to Social Media Examiner’s study, Ascend2 created a report on social media marketing trends. This report uncovers how content drives social media marketing, the most effective social media tactics used, and comparative analysis of social media tactics. 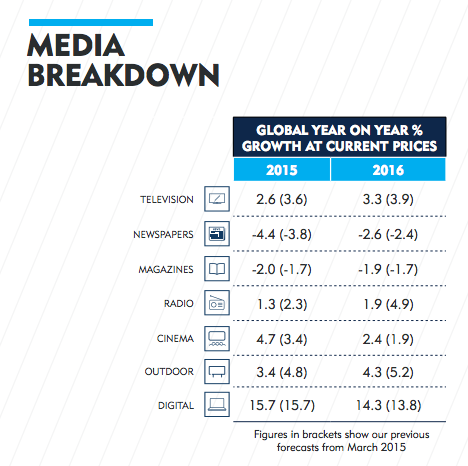 Carat, the leading global media network, released its latest ad spend report. Carat predicts a positive outlook in 2016 with global growth of +4.7%. For marketers, a key takeaway from this report is that digital is driving growth mainly fueled by online video. In addition, mobile continues to account for the greatest advertising spend growth across all media. Take a look at the full report to learn how this ad forecast can give you a leg-up on your marketing plans. Just like the tides of content marketing have changed, the state of product marketing is shifting as well. Regalix surveyed companies whose products varied from Software to Hardware, Cloud and Mobile. In this study, Regalix found that the majority of companies (84%) invest in product marketing, however there is a lack in enthusiasm when it comes to collecting product feedback and measuring product satisfaction. Take a look at the full survey to get a sense of what type of content is considered most effective during the introductory and growth phase. 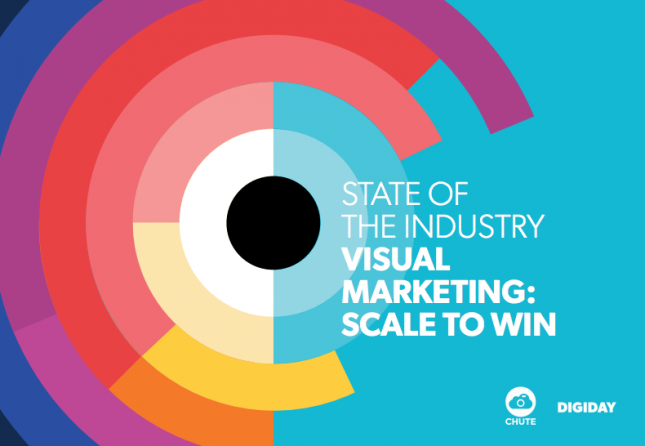 Consumers are met with visual images more than ever before. Although marketing teams are investing more time and budget into visual marketing, this study finds that they’re often using tactics that underperform across the board. This report dissects the various marketing techniques that account for the disparity across visual assets used, as well as how much visual labor is really costing your team. Marketo commissioned this report by the Economist Intelligence Unit to survey CMOs and senior marketing executives around the world to see how they have experienced the changing wave of marketing. This report covers how marketers see the future, marketing as a revenue driver, and the marketing technology ecosystem. One key piece of information coming from this study is that marketing will increasingly be seen less as a cost and more as a source of revenue. This perspective may just be the key that opens up huge possibilities allowing for more experimentation and creativity to push this source. These reports combined paint a vibrant portrait of the state of marketing. Backed with a ton of data, it is apparent that marketing is not completed in a vacuum. Looking across departments and across channels, marketers need to have a complete picture of their company’s bottom line before embarking in any activity. If you’re thinking about how you’ll apply these findings to your 2016 marketing plan, download our latest eBook, The Visual Content Playbook for Social Media Marketing, to see how you can get a head start on one of the fastest growing marketing channels.